Start off your visit on the 31st (Tue): steep yourself in history at Sacra di San Michele, then explore the galleries of Reggia di Venaria Reale, and then steep yourself in history at Basilica di Superga. Get ready for a full day of sightseeing on the 1st (Wed): examine the collection at Civic Museum of Ancient Art (Palazzo Madama), admire the striking features of Palazzo Reale, then contemplate in the serene atmosphere at Santuario Basilica La Consolata, then contemplate in the serene atmosphere at Church of San Lorenzo, and finally don't miss a visit to Piazza Castello. To find where to stay, traveler tips, ratings, and other tourist information, read Turin attractions planning app . Wellington, New Zealand to Turin is an approximately 36-hour flight. The time zone difference when traveling from Wellington to Turin is minus 11 hours. When traveling from Wellington in July, plan for much hotter days in Turin, with highs around 30°C, while nights are somewhat warmer with lows around 21°C. Finish up your sightseeing early on the 1st (Wed) so you can go by car to Bergamo. In the foothills of the Alps, Bergamo is features a wealth of artistic treasures and a charming medieval atmosphere. Kick off your visit on the 2nd (Thu): admire nature's wide array of creatures at Parco Faunistico le Cornelle, then contemplate in the serene atmosphere at Basilica di Santa Maria Maggiore, then take in the architecture and atmosphere at Chiesa di San Michele al Pozzo Bianco, and finally steep yourself in history at Mura Venete. 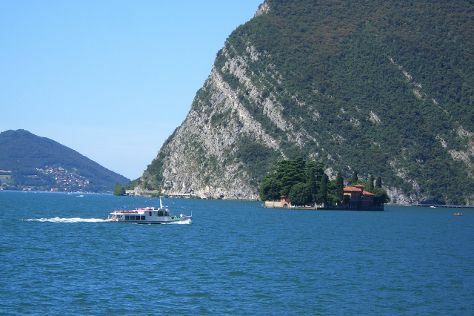 Here are some ideas for day two: enjoy the sand and surf at Lido Belvedere Iseo and then explore the activities along Lago d'Iseo. To find ratings, photos, where to stay, and more tourist information, use the Bergamo online sightseeing planner . You can drive from Turin to Bergamo in 2 hours. Alternatively, you can take a train; or take a bus. When traveling from Turin in August, plan for somewhat warmer days and about the same nights in Bergamo: temperatures range from 33°C by day to 21°C at night. Cap off your sightseeing on the 3rd (Fri) early enough to go by car to Padua. Padua is a picturesque city with a dense network of arcaded streets opening into large communal piazze (squares). Kick off your visit on the 4th (Sat): enjoy the sand and surf at Bahia del Sole, get to know the fascinating history of Piazza dei Signori, and then admire the landmark architecture of Basilica Palladiana. Get ready for a full day of sightseeing on the next day: steep yourself in history at Piazza dei Signori, ponder the world of politics at Ragione Palace, contemplate in the serene atmosphere at Battistero del Duomo, then make a trip to Prato della Valle, then pause for some serene contemplation at Basilica di Sant’Antonio, and finally take in nature's colorful creations at Orto Botanico di Padova. For photos, more things to do, reviews, and more tourist information, use the Padua road trip planning tool . Traveling by car from Bergamo to Padua takes 2 hours. Alternatively, you can take a shuttle; or take a train. August in Padua sees daily highs of 32°C and lows of 24°C at night. Wrap up your sightseeing on the 5th (Sun) to allow time to take a train to Venice. Virtually unchanged for the last six centuries, Venice is actually a group of islands made famous by a series of canals, bridges, monuments, piazzas, and narrow pedestrian lanes. 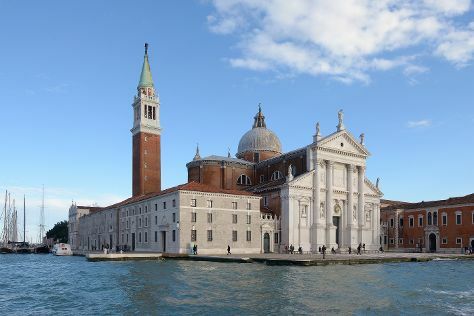 Eschew the tourist crowds and head to San Giorgio Maggiore and Basilica Santa Maria Gloriosa dei Frari. Get some cultural insight at Scuola Grande di San Rocco and Ca' Rezzonico. There's much more to do: pause for some serene contemplation at Basilica di Santa Maria della Salute, admire the masterpieces at Gallerie dell'Accademia, wander the streets of Campo del Ghetto, and admire the landmark architecture of Scala Contarini del Bovolo. To find photos, reviews, ratings, and other tourist information, refer to the Venice trip planning website . Venice is just a stone's throw from Padua. August in Venice sees daily highs of 34°C and lows of 22°C at night. Wrap up your sightseeing on the 8th (Wed) to allow time to travel back home.